Shawano High winter sports are already halfway through the season. 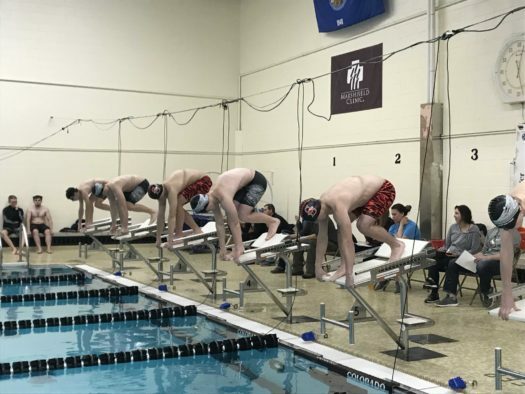 The boys swim team is currently sitting in third position at Conference. Junior Peter Fuller has been swimming for several years in clubs and started as a freshman on the school team. 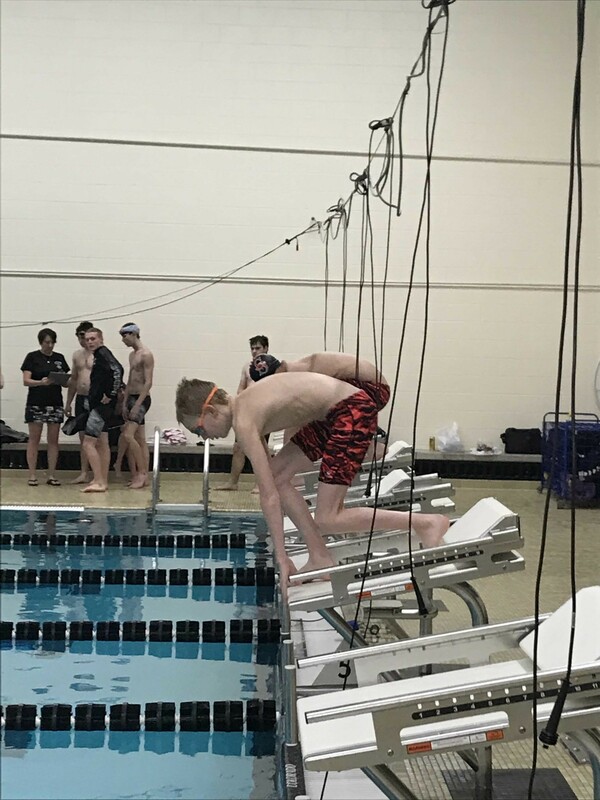 Senior Collin Buerman has been swimming since his freshman year, and he is determined to finish the season in his best shape. The important meets in February are still far from now, and this is the moment when all the athletes are working hard to accomplish the goals they set. Participating in the State Conference is a high goal that a lot of students want to reach. “My personal goal is to get to State, as is everyone else’s, but I know the competition in my events [are] tough,” Buerman confirmed. Swimming is an individual sport, but the support from the team is fundamental. Positive energy is contagious and creates a better working environment. “I love the sport itself, but also the team. We are really close, and we have so much fun at the meets. All the atmosphere of swim is the best part,” said Fuller. In competitions, experience makes the difference between winning or losing. “I have been swimming a lot, so I know a lot about technique and I have a lot of knowledge. I try to bring that to the team as much as I can,” said Fuller. The coaches are also a huge component for the success of the team and the attitude of the swimmers. “The coaches are really good. They motivate us a lot. They know what is best for us, and they are really great guys,” confirmed Fuller. The best advice is thinking positive and working hard. The team is getting ready for the next events with a great attitude, and it is ready to finish the season with a successful outcome. “Just try it, you never know. It is a great sport, and you do not have to be a great swimmer. A lot of people are really good at swim, they just do not know. Just come and try,” Fuller concluded. Boys swim at a meet.